If it is Saturday then you will find me at the Gresham’s Farmers Market seeing what is fresh this week in Oregon. With an empty bag in one hand and my dog Sage in the other we started down the aisles to fill our bag. We see some of the early apples that are just coming into season and a few early pears but what catches my eye at almost all the produce booths are still the fresh peaches that are still in season. 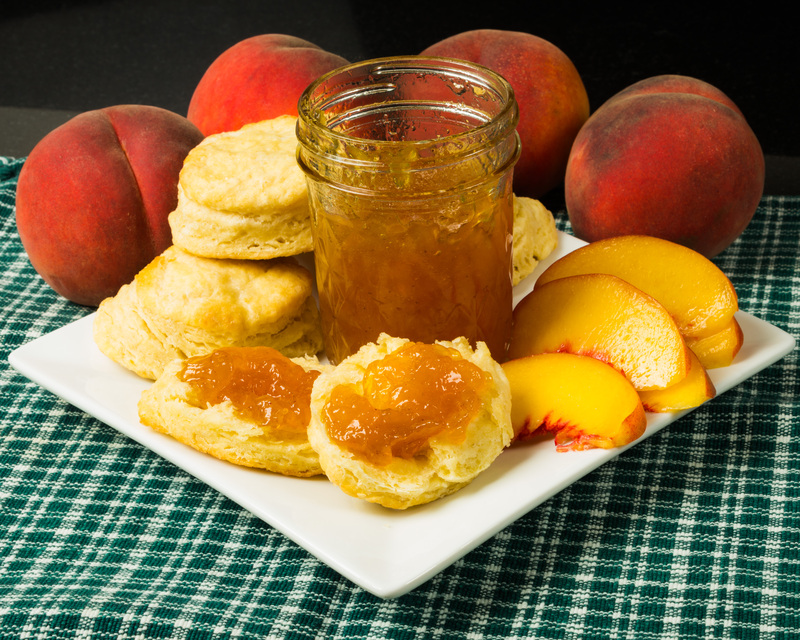 One of the vendors offers me a piece of the peach and I thought of the peach jam I made earlier this month and decided that buttermilk biscuits and peach jam where going to be on the dinner plate tonight. I also bought a couple pounds of peaches for a special treat for breakfast tomorrow. So check out the post tomorrow and next week to see what else I filled my bag with. Preheat oven to 425 degrees. Combine flour, salt, sugar, baking powder and butter until crumbly. Mix in buttermilk, egg and just enough water to make workable dough. Mix the dough until it is just barely combined (don’t over mix). Roll the dough onto a floured cutting board about 1 inch thick. Cut with a 2 inch biscuit cutter. Place on a greased baking sheet a few inches apart and bake 12-15 minutes or until golden brown. Makes about 12-15 biscuits, depending how thick you make them. Sterilize the jars, rings and lids according to manufacturer’s directions. In a large saucepan over medium heat, bring the peaches and lemon juice to a boil. Add the pectin and return the mixture to a boil. Stirring constantly, slowly add the sugar. Stir in the crystallized ginger, fresh ginger, nutmeg, cinnamon, cloves, allspice and lemon zest and continue to boil, stirring constantly for 1 minute. Remove from the heat and skim any foam from the top of the jam. 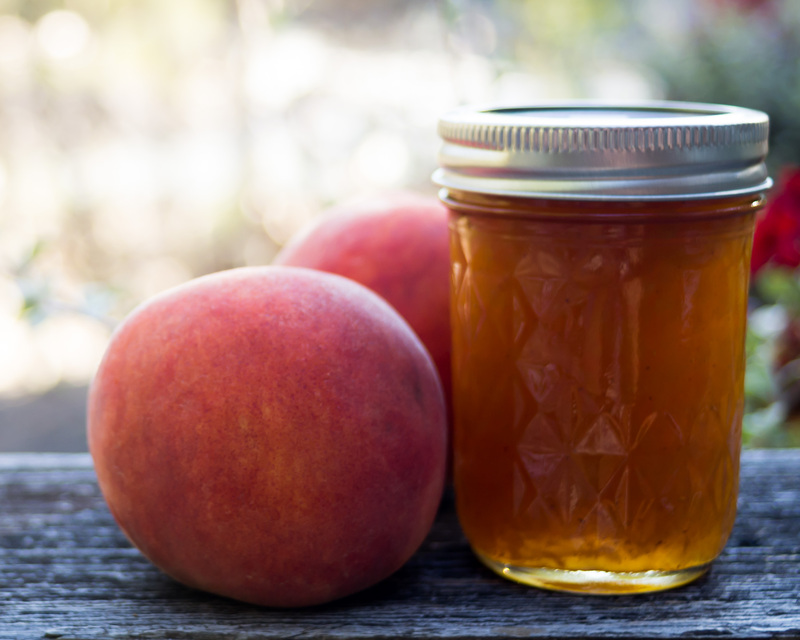 Carefully pour the jam into the sterilized jars, leaving 1/4 inch space between the jam and the neck of the jar. Cover with the lids and screw the bands on. Hot water bath for 10 minutes. Strawberries ~ ~ Fresh From Oregon!